You are here: Home / Uncategorized / How to Lose a Pickleball Game! Humorous!! How to Lose a Pickleball Game! Humorous!! Always remember that about 75% all lost volleys are unforced errors. The following are common mistakes that we all make that can give up points or lose serves. Usually, there are only 11 points in a game. You make a few of these mistakes, your opponents make a few good shots and you’ve lost. Neat! After successfully performing one of these techniques, be sure to carefully examine your paddle. Your opponents will think you were actually trying to make a good shot. We give these suggestions here as recommendations with tongue in cheek but they are very real. Serve really hard. A lot of balls will go into the net or over the baseline. Return serves hard. This causes lots of hits to go into the net or over the end line and gives you less time to get to the non-volley line so you’re still trying to move in when the ball gets back to you. You get lots of chances to hit balls at your feet this way. If you return the serve soft and deep your opponents have to let the ball drop before they can hit it, you could actually win the volley. No! No! Stand close to the side line. This leaves the middle of your court open and makes you vulnerable to the dreaded center-line shot. Your opponents will love it and you get to make a lot of eye contact with your partner! Snap your wrist on overhead slams. A nice follow-through helps control the ball but we don’t want to do that do we? A lack of follow-thru and the slightest mistake in timing can cause the ball to go awry in almost any direction but usually into the net. Poach. Though a good shot at times this leaves your part of the court open for return shots to the space you just vacated. Your opponents will drool over all that open space. Put lots of spin on a lot of shots. They’re harder shots to control and people are waiting for them. Be sure to stand in one place and admire that crazy bounce. Play catch, hit the ball right back to the opponent who hit it to you instead of making them reach for it. They’ll never know you did it on purpose. Lift your eyes as you swing at balls near your feet. A common fault that makes it more difficult to get your paddle at the correct angle, or even make contact. And you usually look pretty good doing it. Watch where you are going to hit the ball. Like the item above, this adds a third element to hand-eye coordination and greatly reduces the probability of making a good shot plus your opponents will know where you’re trying to hit it. Back pedal to return a hard hit toward your feet. No one can consistently make controlled shots when moving backwards and you can’t get into a set position before the ball gets to you. Watch out though, if you trip and fall backward it could be very dangerous. Hold your paddle low, below the waist. It’s very hard to get your paddle into position when you have to raise it quickly. Great for driving the ball out of bounds at all angles. Stay back from the non-volley line. This leaves lots of room for your opponent’s low shots and even if you get to the ball you are moving. You can hit the ball with more control when you are stationery so play back near the base line and give your opponents lots of room to place their winning shots. Don’t be patient at the non-volley line. When you are faced with a dinking game end the rally quickly, commit a fault, and let them have the stupid point. 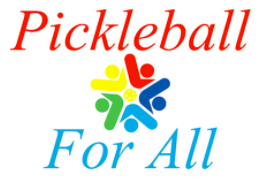 https://www.pickleballforall.org/wp-content/uploads/2018/06/image001-1.png 0 0 admin https://www.pickleballforall.org/wp-content/uploads/2018/06/image001-1.png admin2015-11-29 10:54:392015-11-29 10:54:39How to Lose a Pickleball Game! Humorous!! Pickleballs USAPA/IFP Approved list Halloween Results!